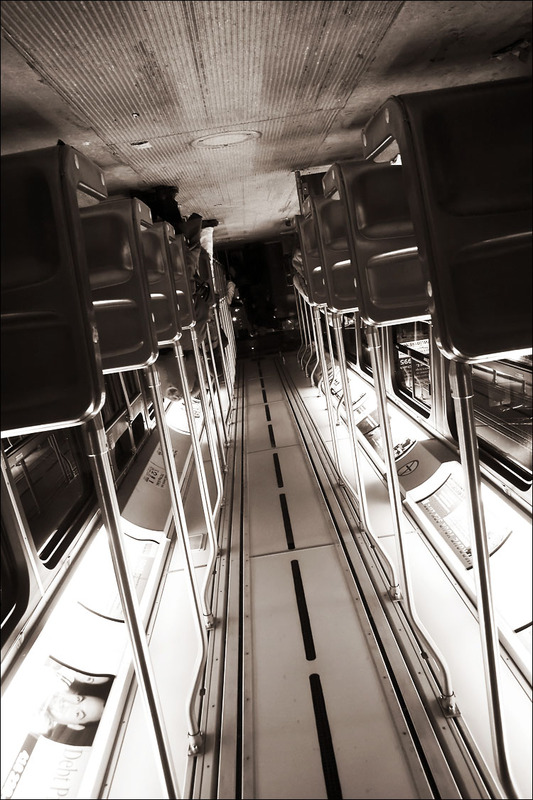 this is inside a toronto's king street streetcar. i sometimes rotate photos to see how they look and i liked this one better rotated. or maybe it's too late and my brain can't function properly?! newsworthy: in case you missed it, the fantastic photoblogs.org is in trouble and people have been donating so brandon can upgrade the photoblogs.org server. he needs $4k but at this moment that i'm writing this (2:23am ET) people already donated more than $3900 so it's likely that when you read this the $4k has been already donated. read more about it at photoblogs blog site. good luck with the new server brandon.